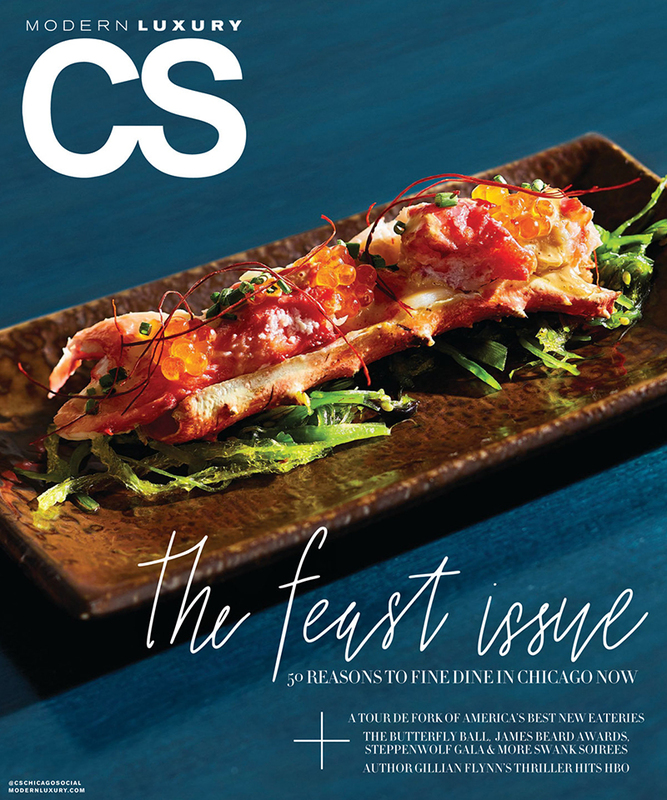 CS Modern Luxury recently featured Amy Kartheiser Design and her work on a greystone in North Center. 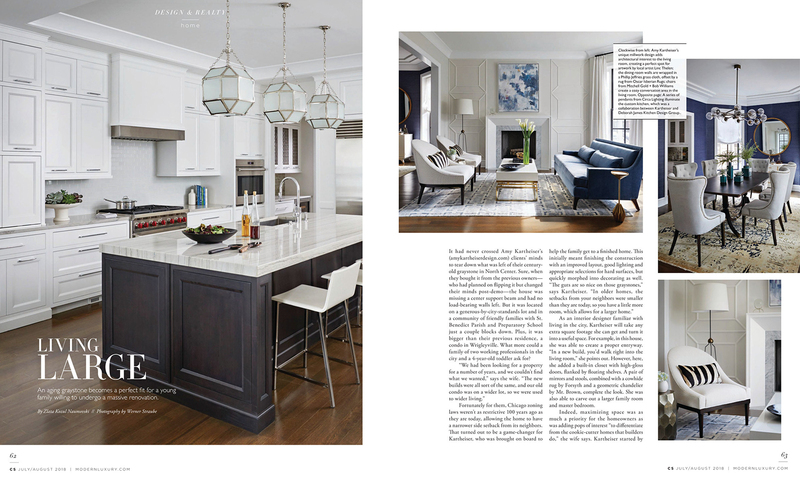 The article Living Large begins on page 62 and discusses the renovation of the home, making it fit for a working couple and their child. 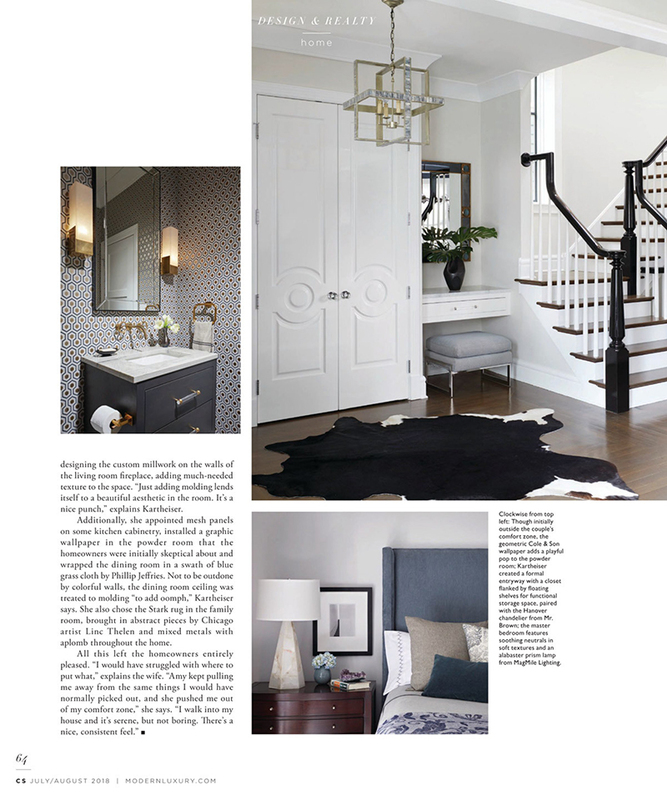 The finished product results in mindfully spacious areas with cohesive furnishings. Thank you to Amy for choosing our rug for your client’s dining room!